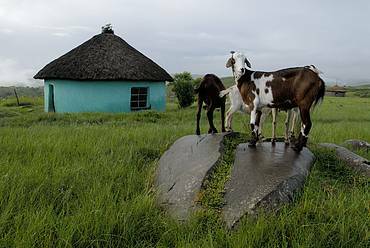 Many of South Africa’s smallholder farmers live in rural areas where poverty is high, as is land degradation and soil erosion. To buffer against a rapidly changing climate, there is an urgent need to support regenerative land use and climate smart agriculture for the smallholder farming sector. 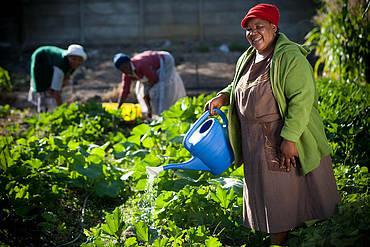 In South Africa, there are approximately two million smallholder or household farmers compared to 35 000 commercial growers. Many of these farmers rely predominately on the land to feed their families with hopefully some surplus to sell or trade. Yet the changing climate is causing increased frequency of extreme weather events such as drought, floods, heatwaves or excessive winds, which not only damage crops but increase the vulnerability of these small-scale farmers. These intense weather events also further erode soils and landscapes, which reduce the carrying capacity of these areas for livestock grazing as well as reducing crops yields. This affects local food security for millions, as well as impacting their livelihoods. Globally, smallholder farmers produce 70% of our food, but individually they are often cut out of the trade which results in increased poverty. WWF is promoting, capacitating and supporting rural smallholder farmers to commit to climate smart farming practises and obtain better access to trading and alternative markets. WWF aims to build capacity through training as well as developing collective stewardship initiatives around conservation-worthy landscapes and utilising various incentives to improve market access. 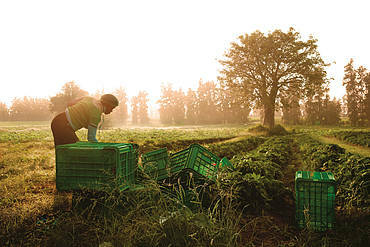 WWF’s focus is on farmers who are situated in areas of high biodiversity and strategic water source areas. To shift away from unsustainable agricultural systems such as chemical-intensive monoculture crops, the climate smart farming approach focuses on multi-cropping, water conservation and protection of the natural resource base. This shift requires a combination of policy, finance and technology solutions to ensure adequate climate adaptation, especially for the vulnerable smallholder farming sector. Climate smart agriculture includes integrated land use planning, minimum soil disturbance, rotational grazing and rainwater harvesting all the while reducing greenhouse gases which are a significant contributor to climate change. We collaborate with research partners and training partners such as Soweto-based 17 Shaft Training Facility as well as NGOs such as Solidaridad, Fairtrade and PGS in order to promote market access. 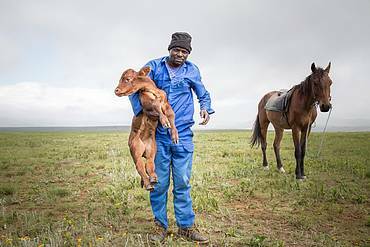 In 2016 South Africa’s debut draft policy on conservation agriculture was introduced. WWF identified the need to contribute to research and support the rural smallholder farming sector to support the advancement of this strategy. This is a vital area to focus on to ensure long term care for the land, protection of freshwater resources, as well as food security in South Africa. This policy, together with the National Development Plan, aims to fast-track smallholder participation in agri-business, job creation and sustained rural livelihood opportunities. Government has committed to develop smallholder agri opportunities for 300 000 households and to create about 145 000 jobs in agro processing. This will result in economic growth, food security and poverty reduction. WWF formed a collaborative platform for supporting smallholder farmers together with Dutch NGO Solidaridad and the SA Food Lab. In partnership with 17 Shaft Training Facility and the SA Food Lab, we developed of a comprehensive leadership and agro-ecology training course for smallholder farmers. In 2017, a total of 22 participants consisting of smallholder farmers, agri-business entrepreneurs and leader of local cooperatives completed this 17 Shaft training course and committed to annually support an additional seven smallholder farmers to adopt similar practices in their villages. We supported demonstration pilot projects of supporting these trainees to develop models of infield community extension and advisory support in the Mopani District of Limpopo. 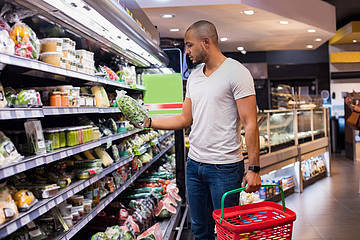 Support local farmer’s markets in your area and look for retailers or brands who actively support smallholder farmers.